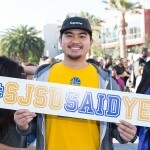 A student visits SJSU for Admitted Spartans Day. A transfer student poses for a photo on Admitted Spartans Day. 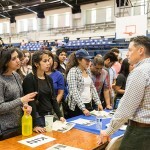 San Jose State University is one of a dozen Bay Area institutions to receive funding from the Koret Foundation as part of a multi-year $50 million initiative to support higher education. 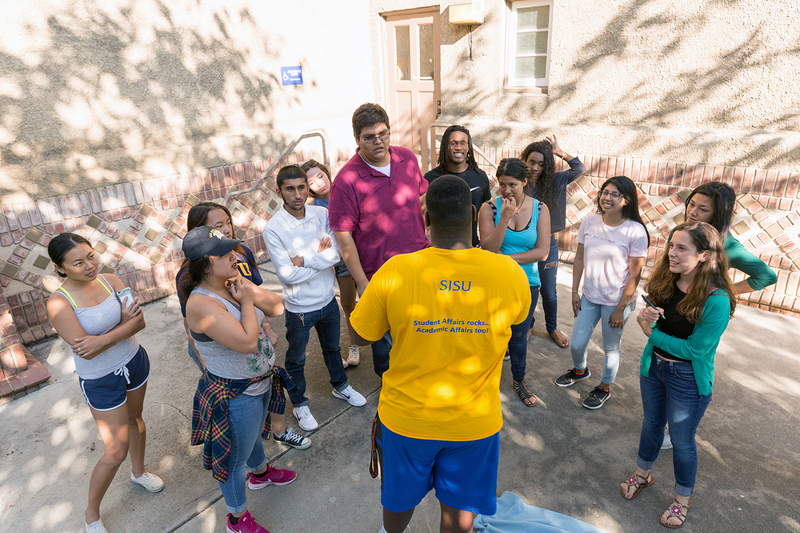 SJSU will receive $2 million from the Koret Foundation to support student success, with University Advancement’s Tower Foundation administering the gift. The influx of funding comes on the heels of the recently released SJSU’s Four Pillars of Student Success: College Readiness, Advising, Student Engagement and Clearing Bottlenecks plan. The data-driven campus-wide student success strategy has one goal: to significantly increase retention and graduation rates for all students while improving the quality of their educational experience. 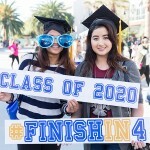 The $2 million has been earmarked to support college readiness, advising and student engagement at San Jose State. It will be used to create a new student information analytics system that will improve advising and to support the Spartan Scholars Program, a newly launched summer bridge program that is aimed at increasing retention and graduation of underrepresented and first-generation students. “They (SJSU students) are the inspiration that keeps me going and get me up in the morning,” he said, during the NPR interview. According to its press release, Koret believes that education not only enables individual success and mobility, but also helps build a vibrant Bay Area. 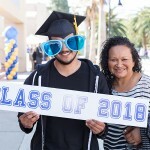 The initiative addresses a number of high priority needs at each institution, including capital, research, scholarships, technology, and recruiting, advising, and retention programs for low-income, first-generation students. Read the full press release and view an outline of the initiatives at all of the higher education institutions partnering with Koret online.